Parenthood is probably one of the most rewarding experience that you will ever face. But despite the undeniable joys of raising a child, it can also be extremely difficult. With a child in your house, your household budget will increase to eat off a bigger chunk of your income every month. It seems like the way society is built, we are expected to pay for a lot of things to make our lives comfortable. But despite that, there are many ways that you can save money today and that includes child care costs. When it comes to our child, we do not want to settle for anything that is second rate. At least, if our finances can help it. We want them to have the best life there is and we do not want them to feel like they are lacking in anything. But like everything else that is important in our lives, this is easier said than done. How much does it cost to pay for child care? One of the challenges in raising a child involves the child care costs. It is one of two things. One of you or your spouse can give up their career to stay at home and care for the child. That would mean relying on one income to support the whole household. The other is to spend for professional care so both of you can continue working. No parent will pass up the chance to watch their child every single minute. But that is not the reality for most of us. Some of us need the dual income or are single parents. So if it cannot be us, we obviously want someone who is trained to be a professional child care specialist. The Census.gov shows us some interesting statistics about child care here in the country. Here are the statistics that includes child care costs. 32.7 million children are currently in child care arrangement. 12.5 million are preschoolers (0-4 years) while 20.2 million are in grade school (5-14 years). 27% of child care arrangements are with relatives (grandparents, siblings, etc) while 25% are with organized facilities (day or child care centers, preschool, etc). 22% of the children are being cared for by a stay at home parent. 88% of preschoolers have employed moms and that means they are most likely in a child care arrangement. 55% of stay at home fathers who have employed wives are caring for their children (5 years and below). As of 2011, the average child care costs in a week is $143. For preschoolers, the cost is $179 while grade schooler care cost $93. In 2011, 32% of families are paying for child care arrangements. For families in poverty, child care costs take up 30% of their income. All of these statistics can make your head spin because you want to make sure that you can afford to pay for your child’s comfort, safety and protection. $143 a week is $572 a month and $6,864 a year. If your household only live on $30,000 a year or less, that can really be a huge dent on your budget. But just like everything else, there are ways for you to lower your child care costs – if you only know where to look. Here are some tips that we have for you to help make child rearing more affordable. Ask for child rearing benefits. There are companies who offer this benefit to parents to help ease their worries as they work. Not only that, some of them even have their own child care facilities near the office so you can stay close to your child as you work. Child care cooperatives. It is possible to organize a child care cooperative between employees with young children. You can help coordinate with your office and the employees involved will be in charge of running the facility. All the company has to do is to provide a place within the workplace and purchase a couple of items for the child care center. You can also arrange this in your neighborhood. It is a more complex form of babysitting for a group of parents. You may even have a local child care cooperative near your neighborhood. You can check out Preschool.coop to check how you can join this network. Look for tax breaks. The Child and Dependent Care Credit is a tax break that you can claim to help cover your child care costs. Even during the summer time, you are eligible to get these credits for day camp (not overnight camp). Use the flexible spending account. Some employers will allow you to put as much as $2,500 a year per parent into a savings account that will be taken from your pretax income. Since this is a flexible account, you can take your child care costs from this fund. If both of you will put money here, you have $5,000 a year. Apply for government assistance. The Office of Child Care (OCC) used to be the Child Care Bureau and they provide support for low income families. They help in providing high quality yet affordable child care services. This is done through the Child Care and Development Fund that the OCC administers. Overall, the cost of raising a child can be very costly so parents are encouraged to prepare for it. Most of the time, the option that parents take is simply to have one of the couple give up their career to stay at home and care for the children. This may seem impossible given the high cost of living but with a little preparation, you can actually make it work without feeling too deprived while living on a very restricted budget. A website called TheMomiverse.com provided some statistics about the general costs that parents face in child rearing. The cost of raising a child until they are 17 years old costs $234,900. 74% will cut back on their usual budget to afford buying baby items. 13% will buy less than what they intended for baby items. 37% feel guilty for the times when they cannot afford a baby item. If you think that staying at home for the child is more rewarding for the child in the long run, here are some tips that we have for you. For a year or a couple of months before having a baby, transition into a one income household budget. While the two of you are still working you can start living on one income so that the full income of the other can be put into your savings. This will boost your savings exponentially by the time the wife conceives. Continue with the dual income right before the baby is born. This will allow both parents to take advantage of benefits offered by the company. Do not buy any big purchases and just put the money in your savings. 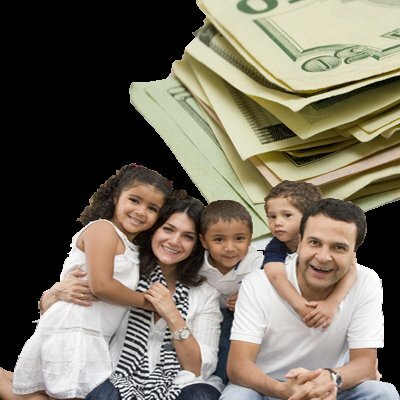 Look for ways that the stay at home parent can earn from home. Remote work is ever increasing and this is one option that you can look into. There are a lot of stories of stay at home moms with successful blogsites that earn them on the side. It just started as their online journal and as it gained followers, they started earning through advertisements. This is something that you can look into.